There’s not many things more disappointing than when your home-made loaf turns out like a house brick – but you’ll have no such issues with the Panasonic SD-ZX2522. Like previous Panasonic appliances, it bakes bread that’s consistently well-risen, perfectly browned, crusty and delicious. This top-of-the-range model also caters for those on a gluten-free diet, and doubles up as a jam-maker, pasta dough-mixer and cake oven. 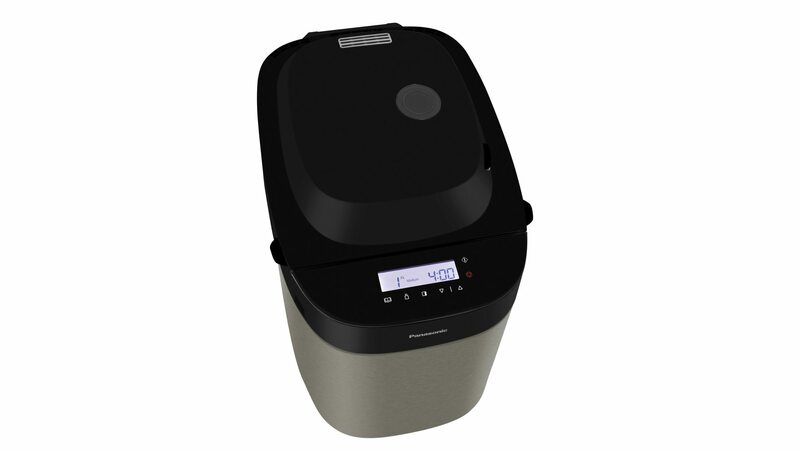 So if you’ve been on the fence about investing in a breadmaker, the extra versatility of the SD-ZX2522 should more than seal the deal. If you just want to turn out a white loaf every so often, you’ll be fine with a cheaper model, or one of Panasonic’s older breadmakers. This one’s for bakers who want more – not just a faultless basic loaf but better wholemeal, sourdough, rye and seeded bread, plus jam, cakes and pasta. Standout features include a new rapid option for wholewheat bread (three hours versus the usual five), gluten-free basic bread in two hours, gluten-free cake and homemade pizza dough in 45 minutes. These programmes bring your total bake and dough options up to 37, ensuring it’ll cater for a wide range of diets and occasions. At £240 the SD-ZX2522 sits at the higher end of the market, competing with premium machines such as Sage’s The Custom Loaf (click here to read our review). 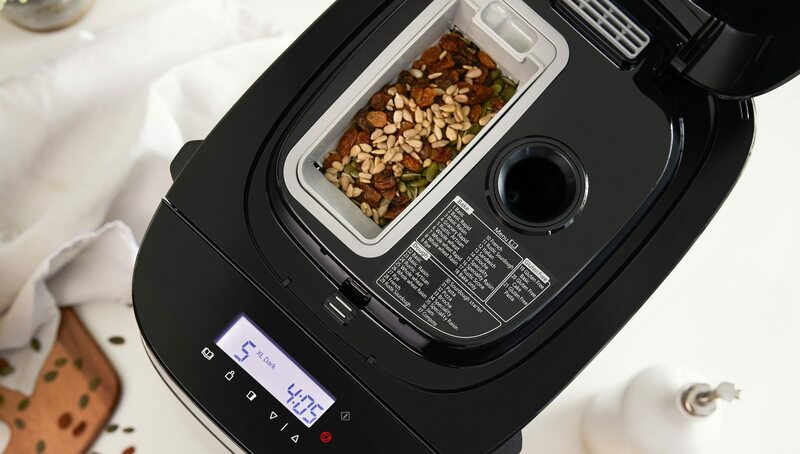 If you’re not ready to splash that sort of cash, there’s plenty of cheaper alternatives, such as Kenwood’s BM450 (click here to read our review), which costs just over £100 and offers custom programmes, or a neat compact model from Lakeland that’s only £65 and offers gluten-free bread making. There’s also a previous Panasonic model, the SD-ZB2512, which is £40 cheaper and offers 33 programmes, although the exterior isn’t quite as sleek and covetable. 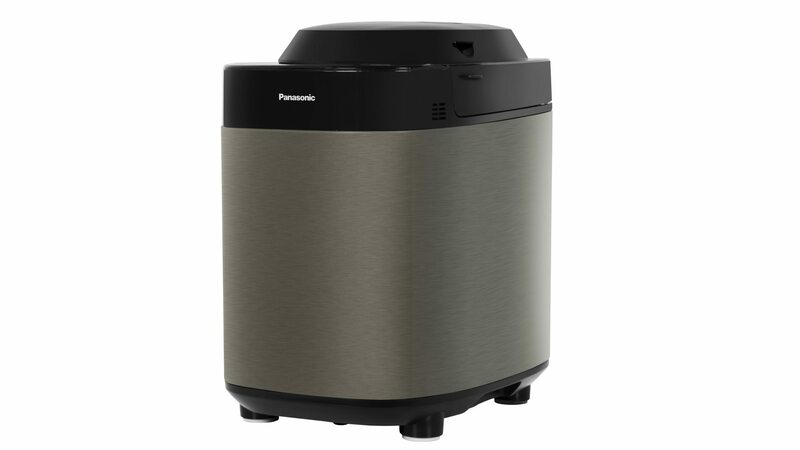 Panasonic is no newcomer to the breadmaker market, and this machine doesn’t suffer from the niggles that often afflict cheaper machines. For example, the non-stick diamond-fluoro-coated inner pan ensures that your loaf will slide out smoothly with just a few taps, and without the paddle getting stubbornly stuck in the bread. The lid features not only a fruit and nut dispenser, but also one for the yeast, so it gets added at just the right point in the programme. The design meanwhile is stylish enough to keep out on the worktop (although you’ll need a decent amount of room), with a black stainless steel finish and a sleek glass control panel. Touch-sensitive icons let you scroll through the programmes, choose a loaf size (medium, large or extra-large) and select how dark you want your crust. There’s up and down buttons for extending the time on certain programmes too, so you can delay your bake for up to 13 hours. And for those who want to try making sourdough, there are two lidded cups and a spoon included. I started out by making a large white loaf with a dark crust, which took four hours and five minutes. The mixing and kneading made very little noise, so it’s perfectly viable to run the machine overnight and wake up to freshly baked bread – and the loaf emerged well-risen and golden brown. Once cooled, the interior was light and fluffy with a crusty exterior; it was easy to cut into fairly even slices, and while the paddle had left the usual indentation on the bottom this was very slim, with no signs of tearing. Next I tried a wholemeal loaf on a five-hour programme, using rustic seeded flour. Loaves made from entirely wholemeal flour can by rather heavy, so I often mix in some white flour, but this time I used wholemeal on its own. This time I used the delay function, so that my loaf would emerge just in time for breakfast (which took a couple of attempts, as it’s easy to scroll past the time you want). Unfortunately, the kneading of the heavier loaf was noisier, and woke me up hours earlier than I’d wanted: it might be better to stick to lighter mixtures for overnight baking. Still, the loaf rose incredibly well, and while it didn’t match the volume of the white, it had a good, consistent texture. Finally, I tried making a gluten-free loaf using brown bread flour. This took just under two hours, although you only get the option of medium or dark crust, and a single standard size. The product was a dense loaf with only a moderate rise, but it sliced well, and a later attempt with shop-bought bread mix produced a better-risen loaf. Whatever you want to bake, the SD-ZX2522 comes with plenty of recipes and guidance, so you’re more likely to get good results than not. You might be put off by the fact that the SD-ZX2522’s pan and paddle aren’t dishwasher-safe, but cleaning by hand is very easy: I found that bread residue either wiped off immediately or came away after a short soak. Beyond this there’s very little maintenance required – you just need to wipe out the dispensers and dispenser lid every so often. The price might be high, but the SD-ZX2522 is a flexible breadmaker that’s very easy to use and turns out consistently good loaves. 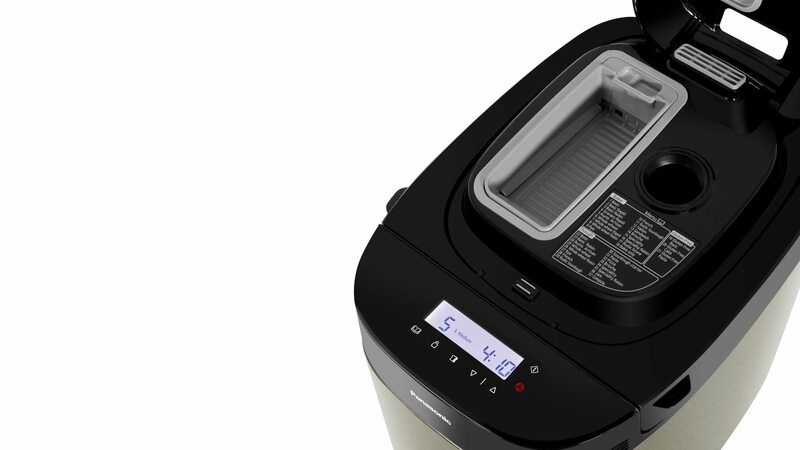 If you’ve been frustrated by unpredictable results from your existing breadmaker, it’s a great upgrade. It’s also great for gluten-free households, making it easy to whip up bread or cakes with perhaps just a few tweaks to the recipe. If you’re looking for the satisfaction and wholesomeness of home baking – but without the fuss – you can’t go wrong.